Which areas — when adopting a Hosted VoIP solution — have caused you the most headaches? Initial configuration and rollout (17.65%). These results show a surprising number of businesses still suffer through voice quality issues. 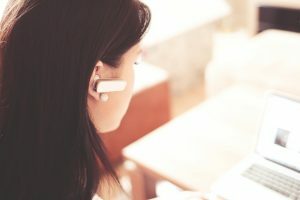 As VoIP quality is something that’s completely fixable, let’s look at the most common reasons for poor VoIP call quality and how to resolve them. Note: We recommend reaching out to us or your dedicated telecom consultant before attempting any of these fixes on your own. How can you fix jitter? The source of the issue may be your firewall router. Each company has unique set up requirements for their firewall to ensure network security and optimal connectivity. Your business IT provider will be able to split your network into voice and data, installing managed switches that prioritize the fastest internet speeds without interference from your firewall. Call audio is affected by the amount of bandwidth used on your network. If you’ve done everything to solve for jitter and you’re still experiencing call quality issues, try reducing the amount of data streamed across your network during calls. Martinez suggests making sure your employees aren’t on data-intensive websites like Pandora or Netflix. Likewise, save massive file transfers, data syncs and updates until after work hours to free up your network. If reducing the amount of stress you’re putting on your network still isn’t doing the trick, reach out to your internet service provider to increase your bandwidth capacity. If your VoIP call quality still isn’t improving, try a dedicated circuit. Dedicated circuits can be an ideal way to fix constant VoIP quality problems. Your IT team can configure the circuit to provide public internet access on a portion of your bandwidth while giving priority to VoIP calls. Dedicated circuits can be complex to set up, as you need to change your business’s current internet setup, but if it means your VoIP issues are over, hiring the right IT provider or telecom consultant will make the process quick and easy. In most cases, one of these solutions should result in your business having hosted VoIP service with guaranteed call quality. A full-service telecommunications provider can even install cable modems that run parallel to your network and separate voice services on a unique channel to circumvent these iseues. Before implementing dedicated circuit, your best bet may be to ensure your phones and handsets are up-to-date with the latest firmware. If you’re not sure when or how your firmware updates occur, i.e. if they’re automatically rolled our or manually pushed, contact your VoIP provider to learn how they interface with your hosted system before you rush into anything. Ensure your equipment settings are compatible with VoIP provider. Enabling Quality of Service (QoS) is a quick and easy way to regulate bandwidth. Simply applying QoS will balance internet allocation between large business processes such as email data packets, entertainment data packets and important communications packets, such as VoIP, and instill balanced bandwidth use. If possible, installing a virtual local area network (VLAN) among your switches can solve many network issues. Creating a VLAN generates a unique broadcast domain which many large networks require to mitigate high traffic volume. VLAN domains are ideal for segmenting groups of users within your network who run multiple business applications, such as VoIP. By creating a VLAN domain, you can enable logical grouping of end-stations and reduce broadcast traffic. Poor business telecommunications are nothing to brush aside; communication is the foundation of any good business, after all. If you’re having issues, it’s best to bring in a third party consultant to look into the problem. Consultants work closely with telecom providers so that they’re familiar with solutions and their potential issues, but they also work independently so they can make recommendations that don’t depend on any specific provider solution. If you’re having telecom-related technology issues, we can help! Please fill out our telecom assessment form and someone will get back to you within one day.